A few weeks ago, we told you about Vancouver’s re: THINK housing contest that encouraged the public to submit ideas on how to address Vancouver’s affordable housing issues. This week, we bring you the winners of the contest. 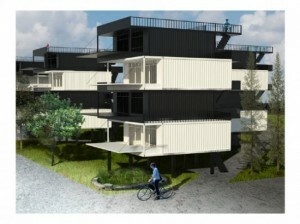 From thinner streets and thin houses to housing made out of cargo containers, the winning selections were both creative and diverse.There were seven winners and six honourable mentions. All of the ideas will be included in a final report by the city’s affordable housing task force. The report will be submitted to city council in the Fall. In total, the city received 69 submissions and more than 8,000 ballots were cast. No matter what happens with the submission ideas from here on out, the contest was definitely a great way to get the city of Vancouver talking about affordable housing.